Have you ever spent a considerable amount of money on something that you used often, but it didn’t last nearly as long as you wanted? This is a frustrating situation because you can feel as though you wasted your money. Of course, sometimes, it’s your fault things didn’t go as you had planned. Take a vehicle for example. If you want your INFINITI SUV to perform well on Laplace, LA, roads for years to come, you need to do your part. If you neglect service and maintenance, it won’t meet your expectations, but if you follow a careful maintenance plan, it should have great longevity. All vehicles require care and attention. If you put off services or delay trips to the shop, your INFINITI SUV will start to sputter and give you fits. From the first day your purchase your SUV, familiarize yourself with the maintenance schedule and commit to sticking by it. The owner’s manual should list what services your car needs and what mileage intervals you’ll need to address them. Don’t get off track, or you’ll spend a lot of time and money. Tires are going to wear out no matter what – unless you never drive. Still, you can keep more of your money and buy tires less frequently when you rotate them regularly. As you put miles on your SUV in Laplace, LA, your tires will start to wear down. Every 5,000 miles or so, you should take your car to a qualified mechanic who will switch front tires to the back and driver’s side tires to the passenger’s side, and vice-versa. This will add life to your tires. This is something you absolutely can’t procrastinate. For a fair price, you can improve the engine of your INFINITI SUV and keep it running smoothly. Frequent oil changes will remove dirt and sludge from the engine, and it will also improve your vehicle’s gas mileage. If you have a new SUV, change the oil every 6,000 miles; you’ll have to do this more often as your vehicle ages. Every time you change the oil in your INFINITI SUV, pull the air filter and check its status. The chances are you’ll need to change it almost as often as you change the oil. This process will also enhance engine performance. 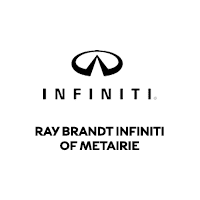 The skilled mechanics at Ray Brandt INFINITI can help you with just about any repair or maintenance need you have with your INFINITI SUV. These tips will let you drive your vehicle for many more years on Laplace, LA, roads.